My dearest tried to start our SUV the other day and it was dead. The OEM battery has been a faithful trooper, but it died. So there is a problem with this. The manufacturer decided to play hide-and-go-seek with the battery. Here's what it looks like under the hood. That big red cap is not it. That's a place to connect jumper cables. 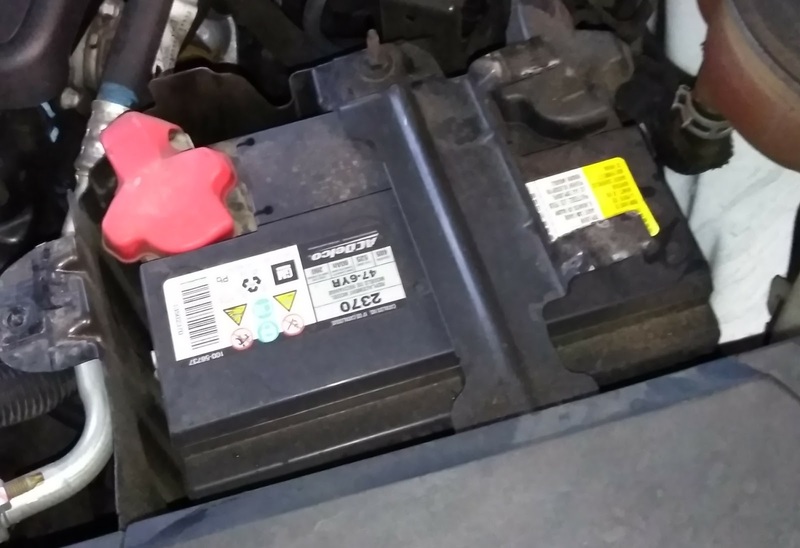 The battery is under the ECU, wrapped in a metal battery box so you can't see it. It's a pretty good hiding spot. Changing it is pretty easy. 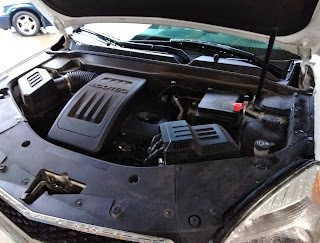 On the right (non-connector) side of the ECU there is a plastic clip that holds the black plastic cover on. Unclip it and remove the cover. With that out of the way there is a bolt on the left side of the ECU that holds it in place. Remove this bolt with a 10mm socket. 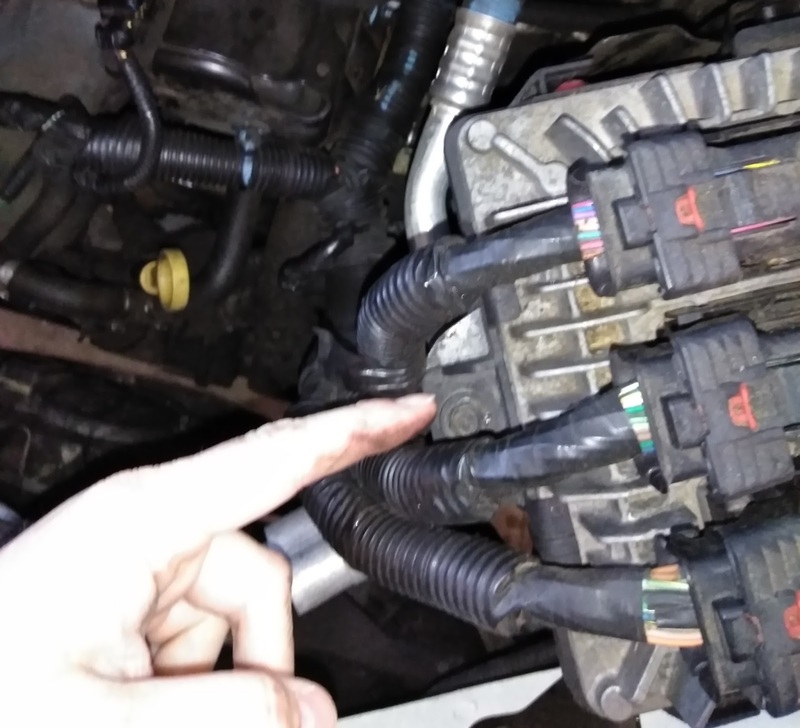 You do not have to disconnect the electrical connectors. With that removed, slide the ECU right and up to disengage it from its mounting hooks and you can swing it free. The battery is held down by a metal strap with a visible bolt, and a second bolt that's buried under the front plastic fairing. 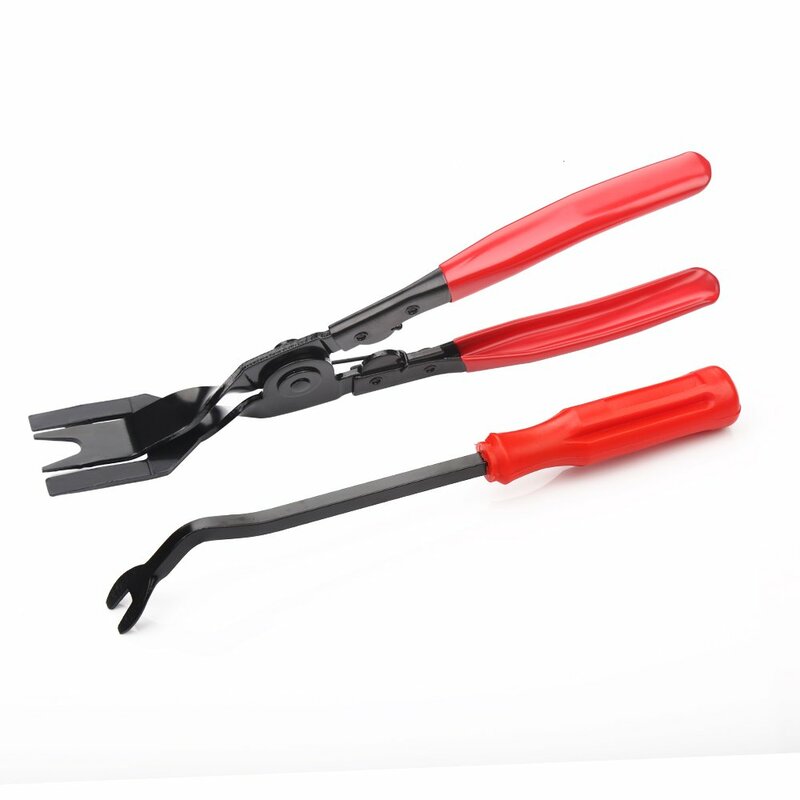 You can undo the one visible bolt and bend the strap up and out of the way, or you can use a plastic clip remover tool like this one to remove the plastic cover and get to the other bolt. Back to the task at hand. With the strap removed you can finally get to the battery. 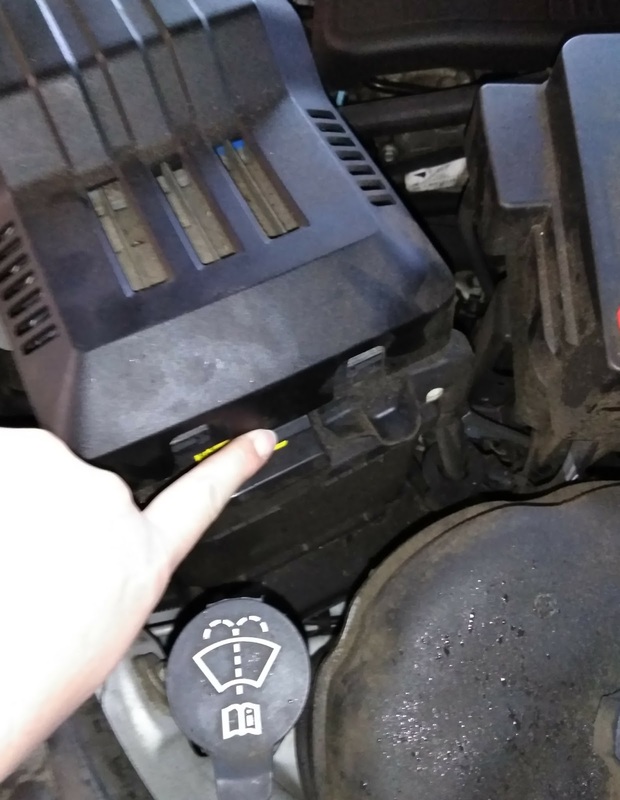 Prudence suggests disconnecting the negative battery lead first, so you don't cause a shower of sparks if you accidentally put your wrench between the positive lead and the chassis. I used a 10mm wrench to loosen this, a socket would not fit. The negative terminal had a funny little angle-block clamp that I've not seen before. Installation is the reverse of removal. Connect the positive lead first, then the negative. It's probably worth putting some vaseline or battery terminal protector spray on them to prevent corrosion given how difficult it is to get to this. I hope this helps. You'd think stuff like "Where is the Battery?" would be answered in the Owner's Manual, but it isn't. It's remarkable that a book that thick can be so useless.